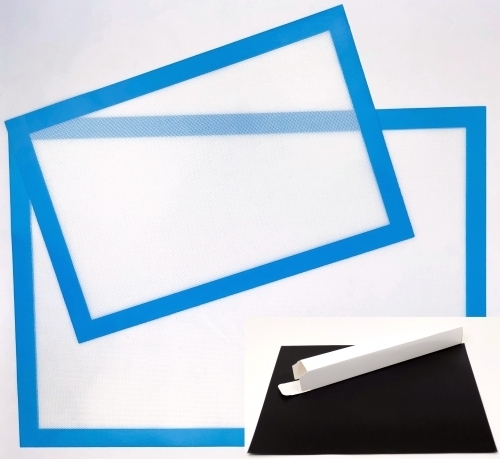 This Flexible Non-Stick Applique Pressing Mat Set will forever change the way you applique! Originally designed for use in the kitchen, these mats have migrated to the sewing room! 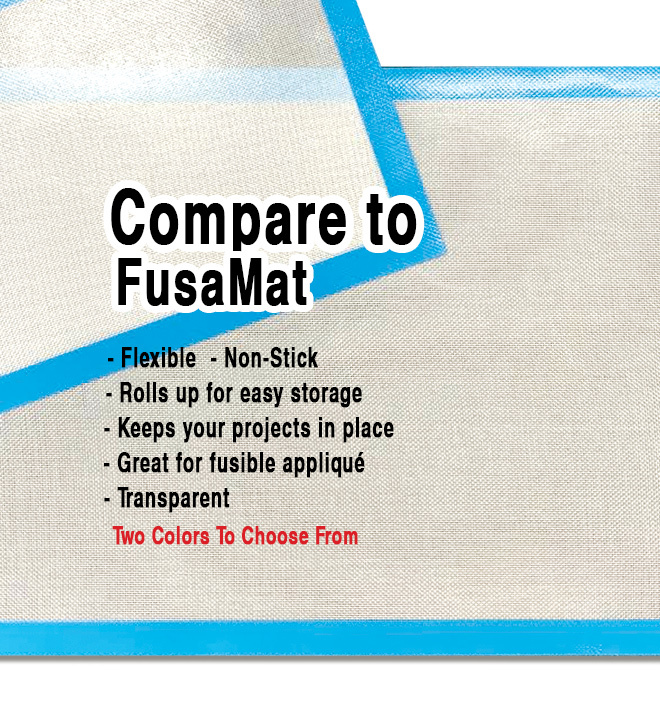 This mat eliminates the risk of getting glue residue stuck to the bottom of your iron and ironing boards. Use mat right over applique placement sheets and build your applique units right on top of the mat. When the unit is complete simply let cool then peel off, it's just that simple. Glues and adhesives will not stick to mats tacky but not sticky surface, and applique pieces are guaranteed to stay in place. If for any reason you need to clean lint or threads off your mat, just use warm soapy water and air dry. 1 Pressing Sheet- 13" x 15Â¾"